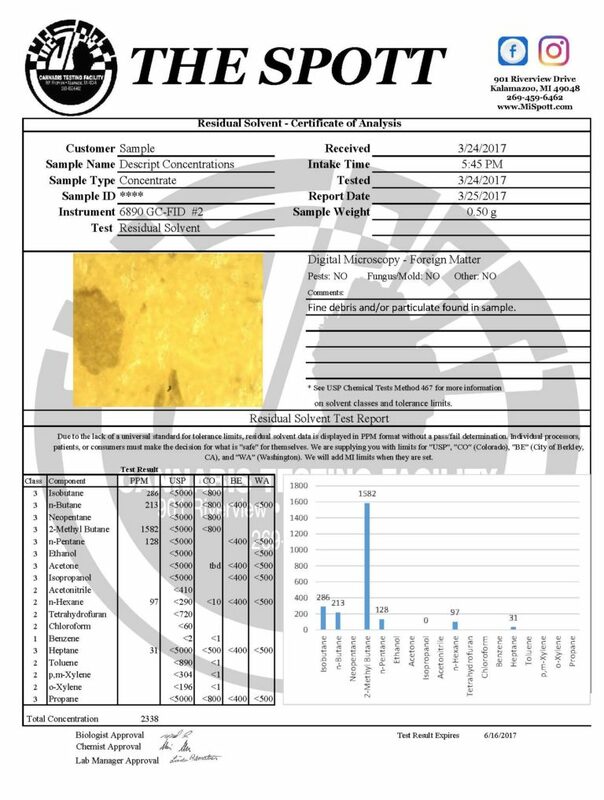 The Spott offers a validated cannabis testing method to determine the amount of residual solvents introduced during processing of concentrates. By monitoring the ppm levels of solvents we can help identify raw materials and products that are free of harmful contamination. We are currently testing for residual solvents using GC-FID coupled with headspace sampling which is the technique recommended by USP 467 for residual solvents in pharmaceuticals. We have developed an in-house method that allows us to detect the light gases not included in USP 467. The method currently utilized by The Spott for testing residual solvents is the Gas Chromatography (GC) unit coupled with a headspace sampler and a Flame Ionization Detector (FID). 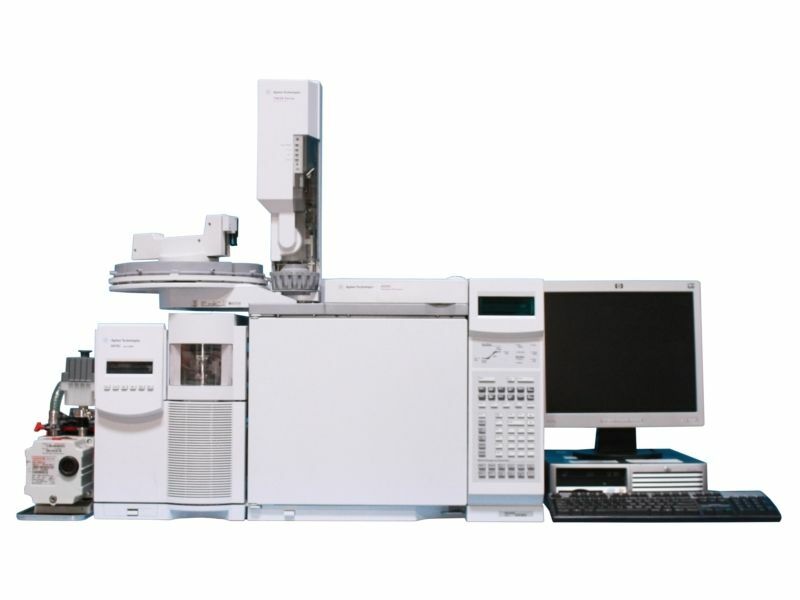 Gas Chromatography is used in analytical chemistry for separating and measuring compounds that can be easily vaporized without decomposition. This test allows chemists to determine the purity of a particular substance, or identify and measure the individual components of a mixture. The process separates compounds on the basis of boiling point, or vapor pressure, similar to fractional distillation. An FID operates by detecting the ions formed from the combustion of the injected organic compounds with Hydrogen gas. The amount of detected ions is proportional to the concentration of each organic species in the mobile phase gas stream. As compounds elute off the column as determined based on their relative vapor pressures, their amounts are determined by the collection of ions by a high voltage detector. The current across the detector is directly proportional to the rate of ionization – which in turn depends upon the concentration of hydrocarbon in the sample. The ratio between the signal produced and the quantity is generally equal to number of carbon atoms for hydrocarbons. Oxygenates and other species that contain heteroatoms tend to have a lower response factor. Carbon monoxide and carbon dioxide are not detectable by FID.